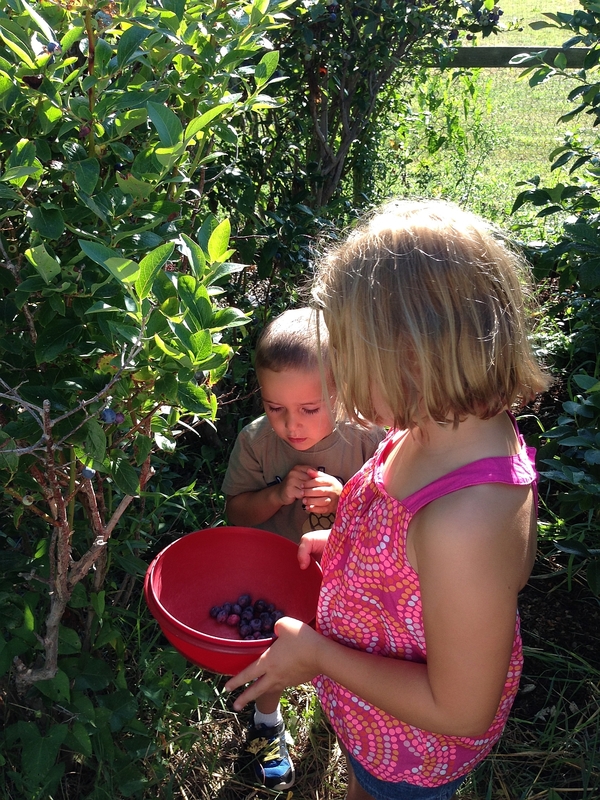 Recipe for Fun: Fresh Blueberries. Making a Pie. Ice Cream. Grandchildren. Life is Good. 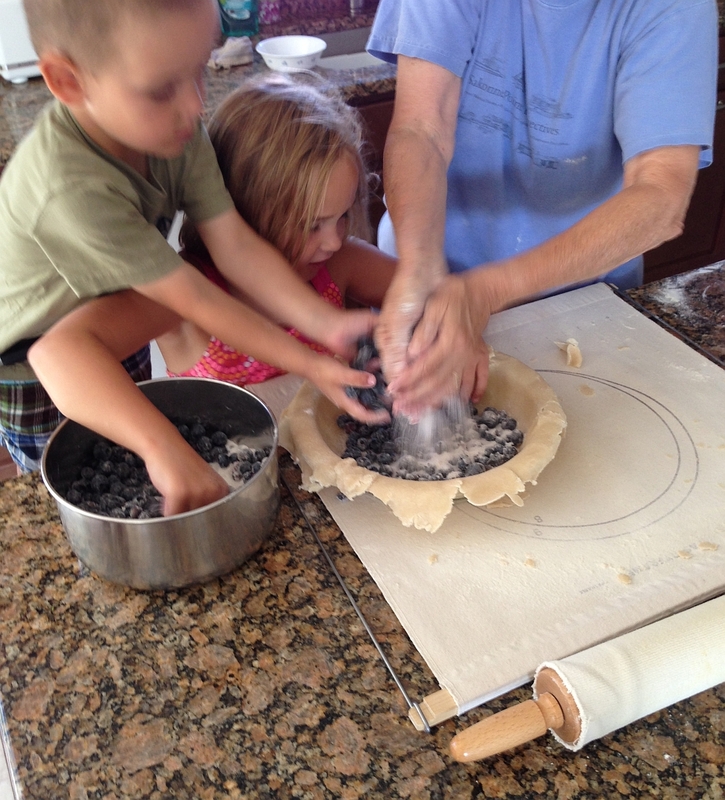 The grandkids are in RI for the week, their great aunt helping them create a blueberry pie from scratch, and blueberries straight off the bush. Can it get any better than this? I think not. My grandchildren are here this week too and we’re making pies and jam, but not with blueberries that are our own, but a close second, picked at a local field. Have fun. MMM,mmm…. Life is good. Picture of finished pie, with maybe a few slices missing, please. Finished pie, coming up. Few slices missing? That’s a tougher order. With six pie lovers digging in to this tonight, leftovers are likely not to be. The empty glass pie plate is a better photo op request. 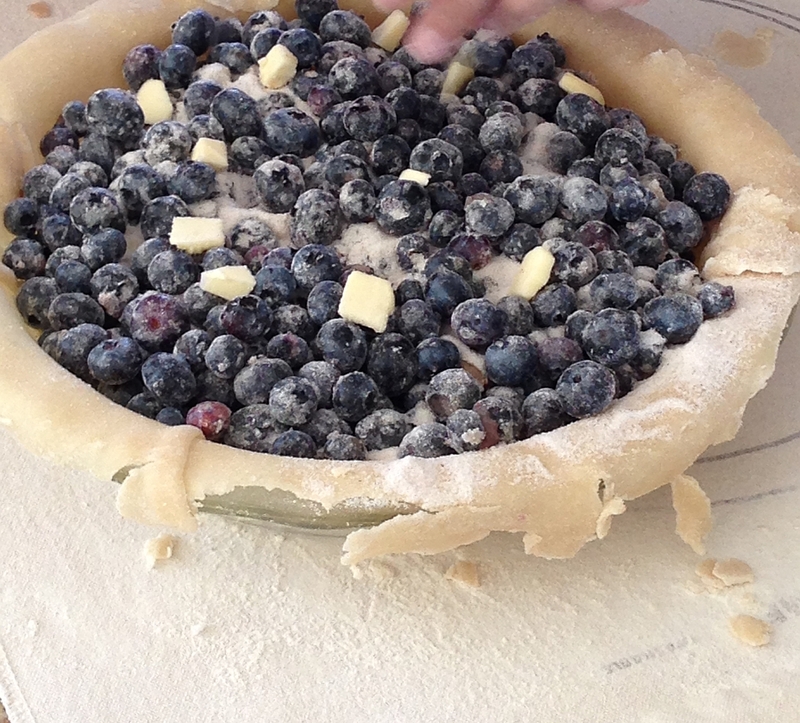 Blueberry pie! MMMMMMMMM. Two of my grandchildren will be arriving on Sunday for 2 weeks. Lots of beach, pool, drive in movies & all that other good summer stuff coming my way. My #1 summer tradition is ice cream for lunch on Saturdays. No complaints. Drive-in movies? How fabulous!! I didn’t know there were any more left. Have a great two weeks!!!!!! Grandparents rule. Sakonnet Point Club t-shirt? inquiring minds, etc., etc. Great Auntie does have a Sakonnet Point tee on of some kind – not the Point Club. Not sure what it is. I’ll scope it out later.